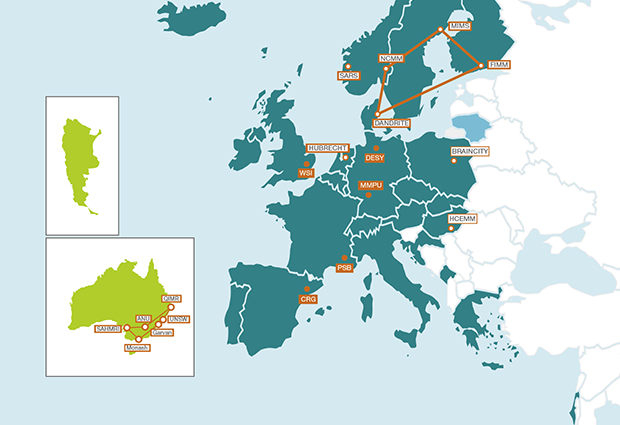 The EMBL Partnership Programme is an initiative aimed at promoting scientific collaboration across the EMBL member states by setting up close cooperative alliances between EMBL and research institutions in the member states. The Partnership Programme has grown gradually over the years and currently encompasses 11 partnerships. These are based on shared institutional goals and common or complementary scientific interests. The aim is to combine the advantages of the EMBL model with the individual strengths of the partners, creating an interlinked system of institutions working together in the pursuit of scientific excellence. This brings benefits for molecular life science in Europe and around the world, both in scientific terms and in the spirit of international collaboration that it promotes. EMBL institutional partnerships fall into two categories: local and remote. The local partnerships benefit from being integrated into the local scientific environment and, operating on the basis of complementary orientation in research expertise or available infrastructure, facilitate projects which EMBL would not be able to initiate or undertake alone. The remote partnerships were inspired by the desire of member states to implement the successful EMBL operational model at the national level. The collaborations supported by the EMBL Partnership Programme allow every partnership to address national scientific needs. In some cases this means that EMBL helps with institution building, while in others EMBL offers advice and expertise in transferring features of its operational model nationally. This could be for example, by offering support to institutions in organising international recruitment, implementing a staff turnover system that enables the flow of young scientific talent, or regular external review carried out by highly qualified international experts. This benefits the member states because these aspects of EMBL underlie its success as a research institution. In addition, by establishing institutional and scientific interactions with EMBL, partner institutes become integrated into the extensive EMBL research network. This network provides fertile ground for new initiatives and projects in the life sciences. Moreover, through their association with EMBL, partner institutes gain increased international visibility, which helps them recruit highly qualified young researchers and facilitates access to national, European and international funding. The most recent EMBL partnership is the Nencki-EMBL Partnership for Neural Plasticity and Brain Disorders – BRAINCITY – a partnership made with an institute in EMBL’s newest member state, Poland. The largest one is the Nordic EMBL Partnership for Molecular Medicine, which spans four countries: Denmark, Finland, Norway and Sweden. The Partnership Programme is designed to offer collaborative opportunities in science and technology that bring benefits both to individual member states and across EMBL. 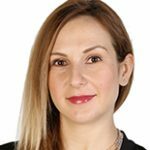 To learn more about the Partnership network and how it could benefit your research, visit the Partnerships pages on the EMBL website or contact EMBL Joint Head of Government and EU Relations Plamena Markova. From 25–27 September 2019, EMBL is organising and hosting the third EMBL Partnership Conference, ‘Perspectives in Translational Medicine’, at EMBL Barcelona. The conference brings together EMBL and its partner institutes operating in the field of molecular medicine, to enable exchange of expertise and to build new collaborations and research networks. EMBL scientists at all levels are welcome to attend the conference. The registration deadline is 14 August 2019 and abstracts can be submitted until 19 June.